The client sought to relocate their premises after the expiry of their lease. The tight timescale meant carrying out the work in 2 phases with the main office floors refurbished first, then a subsequent phase to install a passenger lift, convert the basement and mansard. Conversion and interior fit out to provide high quality office space and conference space on six floors. The property had been used as an NHS facility for many years and had become run down and dilapidated. The interior features were researched, detailed and comprehensively refurbished adhering to the historical style. The final effect is inspiring for children, teachers and parents alike. 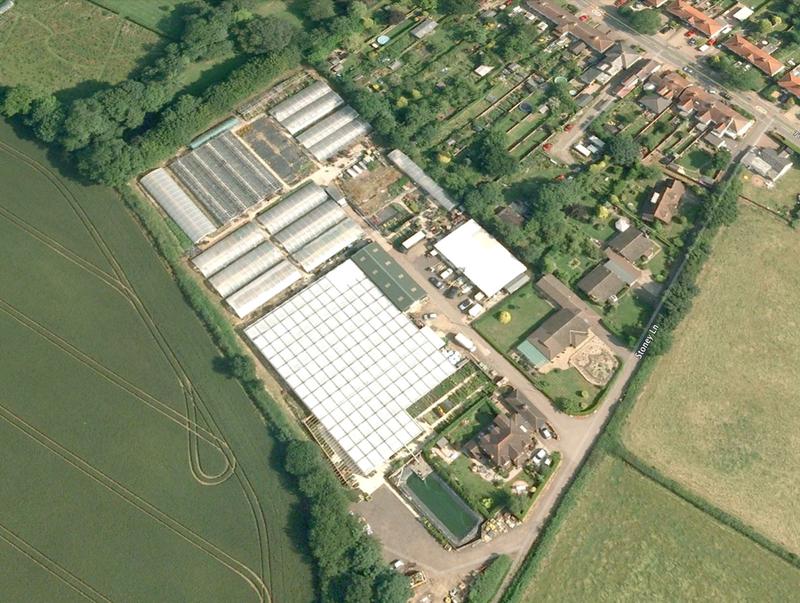 The nurseries were established in the 1950s and in the following decades greenhouses and polythene tunnels have been erected to expand the indoor growing area to meet the demand for plants. However they are now becoming unsafe, and are no longer practical to maintain. Planning permission has been granted for structure giving 2,180 sqm of growing area yet the footprint area of the proposal is in fact smaller than the existing structures due to the rationalisation within the footprint of many unusable and inefficient areas. The proposed structure would have thermal screens which would save some 75% of heat loss through the roof; also it would mean heating just four sides, totally 189 linear metres as opposed to the 652 linear metres currently. Currently the rainwater is lost into drainage ditches, whereas water from the roof is to be collected into a storage tank and recycled for watering crops. The height of the proposed greenhouse would also allow automatic watering booms; less time consuming than traditional methods. These are features that planners now give credit on their checklists as contributing towards ‘Sustainable Development’. This was a project where the previous architect had produced unusable plans and we were approached by the Design and Build contractors to redesign the building. There was a tight programme and firstly we had to clear a long list of hurdles. We prepared detailed drawings on AutoCAD and attended site meetings. By carefully phasing the construction drawing programme and information release we were able to help the contractor keep the building on programme. The client required a number of services including building applications on sites in Berkhamsted, Hemel Hempstead and Tring as well as new signage. The client owned a large city centre site and had inadequate plans of the 12 properties which also included outbuildings, carparks, yards, tunnels and courtyards. They needed accurate scale plans urgently for many purposes including letting and maintenance and renovation projects. Site had a floorplan of 2,300 sqm. Some properties could only be surveyed out of working hours and some had no power and had to be surveyed by torchlight. Surveyed with a 4 person team and produced a full set of plans of all 5 floors within the 3 week deadline, negotiating with the various tenants and occupants. All measurements were taken with laser instrumentation and plans were prepared by AutoCAD and issued in both PDF and hard copy format.